#158: Show Me Religious Freedom | mark Joseph "young"
This is mark Joseph “young” blog entry #158, on the subject of Show Me Religious Freedom. It appears that Missouri has become a battleground for issues of church-state relations. During the election we noted in web log post #126: Equity and Religion that there was a ballot issue related to a cigarette tax to fund childhood education which included controversial language permitting such funds to go to programs sponsored by religious institutions or groups. The measure was soundly defeated, incidently (59% to 40%), but whether that was due to opposition to the almost unnoticed clause about funding religious groups or to the near one thousand percent increase in the cigarette tax can’t be known. The state is back in the news on the religion subject, as a lawsuit between the state and a church school is going to be heard by the United States Supreme Court this year. But perhaps that will make more sense if we put some detail to it. Missouri runs a program that collects used tires and recycles them into playground surfacing material, providing schools and other facilities with a durable but softer play surface. 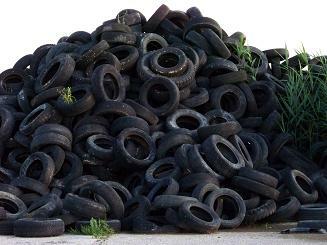 The program is funded by a surcharge on new tires–technically tax money dedicated to the purpose of handling scrap tires. Trinity Lutheran Church runs a school which has a playground used by the students but also by neighborhood children. They applied to the program to resurface that playground with the safer materials, but were refused on the grounds of a church-state issue. Some would argue that the “separation of church and state” is on the state’s side in this, but that is not in the Constitution. The Establishment Clause means only that the government cannot show favoritism between various religious and non-religious organizations; it can’t promote any specific religion, nor can it oppose any specific religion. It will be argued as to whether providing playground surfacing materials to a church-run school might be promoting that church, but that is not all that is at stake. Missouri is one of thirty-eight states which have what is known as a “Blaine Amendment”, after Maine Senator James G. Blaine who in 1875 proposed an amendment to the United States Constitution along these lines. The Constitutional amendment proposal failed, but the majority of states adapted the concept to a variety of state constitutional amendments which were adopted and are still the law in those states. The word used was “sectarian”, and we might find that word inappropriate for its meaning. After all, even at the dawn of the 1960s public school classes were opened with prayer and a reading from the Bible. However, these were Protestant prayers, prayers that would have been embraced by every denomination from Episcopalian to Lutheran to Presbyterian to Baptist to Pentecostal. They were thus viewed as non-sectarian, not preferring any one Christian denomination over any other. Up until Pope John XXIII, Catholicism regarded all Protestants as condemned heretics (and it was more recently than that that the church has reached the position that there might be salvation outside the Roman Catholic and Eastern Orthodox churches). That was seen as the divisive position; the Protestant’s rejection of that was not seen as divisive, because Protestants were otherwise united and respected each other’s beliefs, at least in this country. Arguably, read strictly this would prevent underpaid teachers in private religious schools from receiving food stamps or Aid to Families with Dependent Children, or prevent unemployed ordained ministers from getting welfare or social security. No one has made that argument to this point; such programs were then not even imagined. The sense is that the government will not interfere with the opinions of the people, or the expression thereof. In a sense, the government has to be “opinion blind”–it can’t decline to give food stamps to a member of the Libertarian Party, or refuse to hire someone who previously worked for a Catholic charity, or decide whether someone can speak at a public meeting based on whether he was once Boy Scout or Mason or Gideon. It would also seem to mean that the government cannot decide that an organization cannot receive public funds for a strictly secular purpose based on whether it is a religious organization. Let us for the moment take the name out of this case. Let us suppose that the plaintiff is the Columbia Community School. It happens to be run by the Columbia Community Fellowship, but is incorporated separately as an educational institution. Thus the application for materials from the program says that the applicant is “Columbia Community School”. The question suddenly becomes whether the people who make the decision have the right to ask whether “Columbia Community School” is a religious organization–which under our hypothetical it is, but you would not know that from the name on the application. Would it be a violation of the first amendment for the government to inquire whether the school is a religious organization? Two points should by raised. One is that it is established that the playground is used by children in the neighborhood who have no connection to the school; the other is that many public and private schools rent or even lend their facilities to groups for meetings some of which use these facilities for religious worship services–a use which the courts have agreed is legitimate, and indeed that it would be unconsitutional to forbid such use solely on the basis that publicly owned properties are being used by private individuals for religious purposes on the same terms that they are being used by other organizations for other purposes. It thus seems that it would be illegal to ask the question, and the only reason the issue exists here is that we assume an organization with the words “Trinity”, “Lutheran”, and “Church” in the name is a religious organization. While that seems a safe assumption, it is as prejudicial as assuming that someone with the given name “Ebony” or “Tyrone” must be black. Let us also consider this aspect of the separation of the organization from the purpose. Brigham Young University is clearly connected to the Church of Jesus Christ of Latter Day Saints (The Mormons). It also receives government grants for scientific research. Should the fact that the school was founded by a religious organization for religious purposes disqualify it from receiving such monies? If so, should the same rule apply to schools like Princeton, Harvard, Yale, and Notre Dame? Patently it is legitimate use of government money to support academic research in secular fields, even if performed by religious persons at religious institutions. It appears that the only sane conclusion here is that the government cannot discriminate against religious persons or institutions in the disbursement of aid for secular purposes. We might argue that there is a fungible resources issue, that the money the church does not have to spend on playground resurfacing is money they can use for religious purposes, but ultimately the only use that this paving material has is to create safer play surfaces for children, and the only way the church can get that material is through the government program, so denying it would be making “a law respecting an establishment of religion”, clearly forbidden by the Bill of Rights. The Blaine Amendment, at least in the form it has in Missouri, is unconstitutional. We’ll see whether the Supreme Court agrees with that later this year. Pingback: #196: A Church and State Playground | mark Joseph "young"